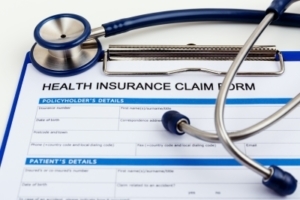 Ministry, Association, and Short-Term Health Plans: What’s a State to Do? The Trump Administration is expanding the availability of alternatives to Affordable Care Act-compliant health insurance. Rules to expand association health plans and short-term limited duration health plans are imminent. So what’s a state to do to prepare consumers and insurance markets for these alternative plans? The alternatives could siphon young, healthy enrollees out of ACA-compliant plans, causing an increase in premiums in that market in order to cover a smaller, sicker risk pool. Listen to the webinar, Ministries, Association, and Short-Term Health Insurance Plans – What’s a State to Do? featuring experts from Georgetown University’s Center for Health Insurance Reform. On May 29, 2018, with support from the Robert Wood Johnson Foundation, the National Academy for State Health Policy (NASHP) held a well-attended webinar that explored what options states have to respond to these developments featuring experts from Georgetown University’s Center for Health Insurance Reform (CHIR). Health sharing ministry plans currently exist across the nation. They allow certain religious communities to charge a monthly contribution to members who then share the responsibility for members’ health care costs — instead of providing traditional insurance. The Affordable Care Act (ACA) exempted these programs from the individual mandate and 30 states currently exempt them from any state insurance regulations. Although no independent data source tracks sign-ups, enrollment in ministry plans appears to have grown from fewer than 200,000 to over 1 million, and these programs are looking more and more like private insurance, for example some advertise during open enrollment and pay brokers. Take action against those that operate illegally as insurers. Association health plans (AHPs): Historically, AHPs have had a long history of financial instability, insolvencies, and fraud. States generally have a better track record than the federal government in regulating them. Rules to expand the availability of AHPs are expected soon but the proposed rules would make it easier for employers to band together and be treated as a large group plan. The proposal would allow self-employed consumers, who are now covered in ACA’s individual market, to enroll in an AHP. The rules also allow AHPs to design different benefit plans and pricing strategies that do not comply with ACA plan requirements. Here again, the plans could provide a lower-cost, lower-benefit option that could attract more young and healthy to enroll and leave the individual market. Whether states will retain jurisdiction over these plans is a key concern of state policymakers who await the final rule. CHIR experts outlined a series of options states could pursue to address AHPS. Assert jurisdiction over out-of-state AHPs. Short-term limited duration plans: Once the AHP rule is issued, the Administration is expected to follow up with rules related to short-term limited duration plans. Designed to fill temporary gaps in coverage, these plans are not considered individual health insurance and are currently exempt from ACA standards. They often exclude some essential health benefits like maternity or prescription drugs and generally exclude coverage for pre-existing conditions. Currently, plans are limited to a three-month coverage limit, but the proposed federal rule governing short-term plans would allow extensions. What states can do about short-term plans: In the webinar, CHIR experts detailed how some states are regulating these plans and outlined strategies for states to consider. Ban short-term plans or use regulatory authority to define, limit duration, and improve consumer protections. As federal rules make alternative plans more available and in the absence of the individual mandate compelling enrollment, state policymakers need to consider these plans’ impact on the individual market. Policymakers will weigh the promise of more affordable coverage with fewer benefits against the risk of market segmentation and rising costs in the individual ACA-compliant market. They will consider how to make sure that consumers have the transparency and information to understand new plan choices and protections should problems occur. NASHP looks forward to continuing its informative webinars with CHIR experts as federal rules are finalized and states, who hold responsibility for the individual market, consider their next steps. Listen to the webinar, Ministries, Association, and Short-Term Health Insurance Plans Are Coming – What’s a State to Do?